ATHICA: Athens Institute for Contemporary Art is an independent, non-profit gallery promoting and supporting innovative contemporary art and artists through exhibitions, education, and events. ATHICA is committed to the local art community and to bringing in national and international contemporary artists of all media. The programming features rotating exhibitions of various themes and affiliated events (such as performances, lectures, workshops, children’s events, curated tours, and more). 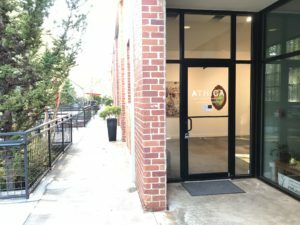 Over the past decade, ATHICA has presented over 1200 regional, national, and international artists in over 60 exhibitions and hundreds of affiliated events. 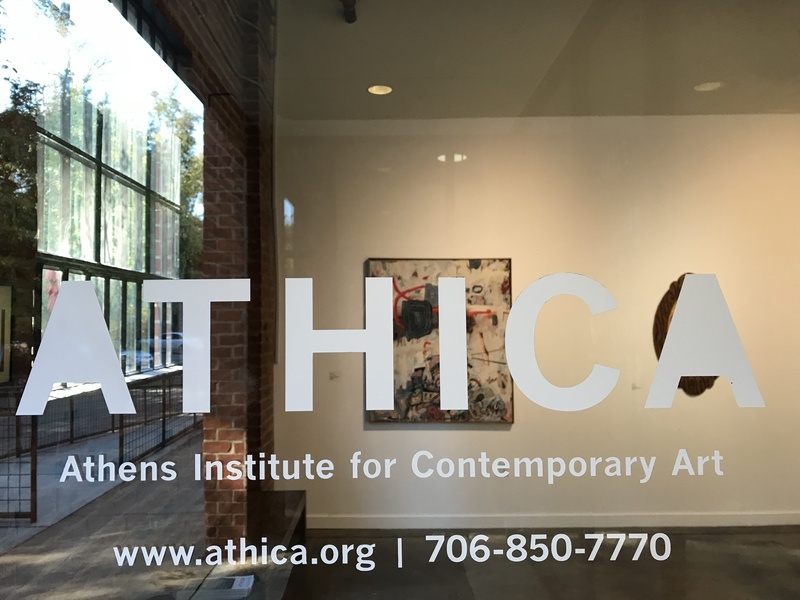 ATHICA features up to seven formal exhibitions yearly, including an annual juried exhibition which has featured jurors such as Michael Rooks of Atlanta’s High Musuem and Harry DeLorme of Savannah’s Telfair Museum. ATHICA does not discriminate on the basis of race, religion, cultural heritage or ethnic background, national origin, sexual orientation, gender, marital status, age, or disability. ATHICA welcomes diversity of all types and seeks out and celebrates that diversity through the content of its programming. ATHICA has a unique role and mission in the Athens and Northeast Georgia community. No other similar venue offers an independent focus solely on contemporary art. As an independent and non-profit entity, support from our community and beyond has enabled us to fulfill our mission since our founding in 2001-2002. Thanks to the generosity and vision of FiveArt, Inc., a group of local developers and arts boosters, a warehouse in the Chase Park property was renovated in winter of 2001 to serve as an alternative, non-commercial art space dedicated to exhibiting challenging and innovative contemporary art. 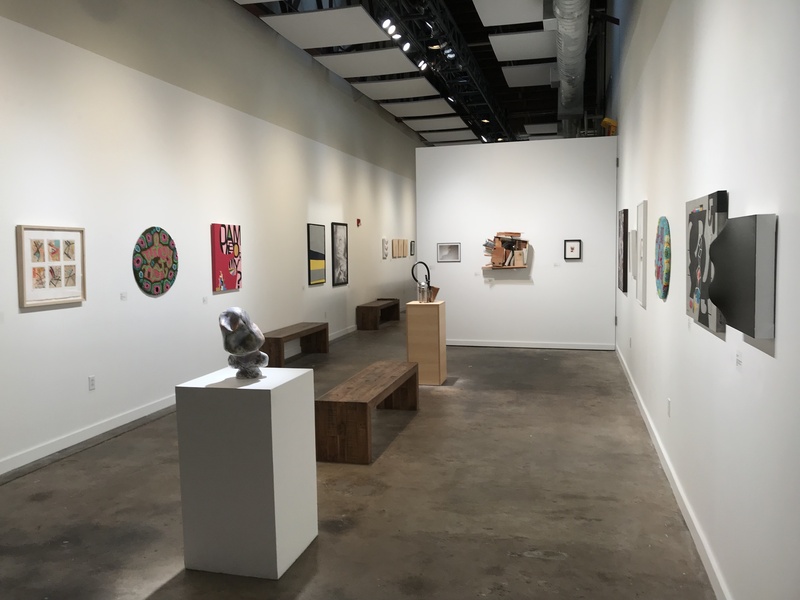 The board, made up of local artists, arts professionals and arts supporters, works to ensure the continuation of the organization as originally conceived through the efforts of Emeritus Director and founder Lizzie Zucker Saltz. ATHICA registered as a non-profit organization in the state of Georgia in November 2001. ATHICA achieved advance ruling of Federal tax-exempt status (501 (c)(3)) in July 2002 and permanent confirmation after the 5-year period in 2006. ATHICA opened in March 2002 with its first exhibit, Raw Womyn. In 2018, ATHICA’s hosts and landlords made the difficult decision to sell the building, after many years of managing the large facility and its many tenants while providing free and reduced rent to ATHICA in order to keep the dream alive. During this time, Chase Park Warehouses emerged as a new urban arts district, with recording studios, internet businesses and numerous artists’ studios, all just a little over a mile from our thriving downtown in Athens, Georgia. The ATHICA board was challenged to identify an affordable location within the area. With the help of many individuals in the community who offered spaces, ideas for consideration, and made connections, the organization found a new home in the Leathers Building on Pulaski St., just down the railroad tracks and a few blocks from downtown. Another renovated and repurposed industrial structural, the Leathers Building has a similar mix of tenants, including a restaurant, alternative health practitioners, yoga and fitness studios, a wine store, and art and design studios. The community pitched in to help with the move and preparation of the space. 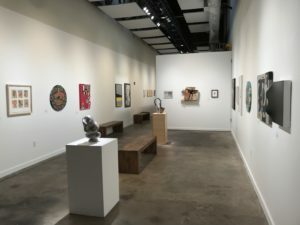 Under the leadership of Jason Huffer, owner of Third Phase LLC, and with the generous support of The James E. and Betty J. Huffer Foundation, the new gallery came together with a state-of-the-art lighting and acoustic-baffling infrastructure, reopening in August of 2018 after a short transition. For over 18 years, ATHICA has been supported by numerous local businesses, individuals, and above all, artists, while continuing to seek new funding from foundations and grants. Significant support has also been received from Five Art, The Andy Warhol Foundation for Contemporary Art, The Elizabeth Firestone Graham Foundation, the Georgia Council for the Arts, and through them, the National Endowment for the Arts. 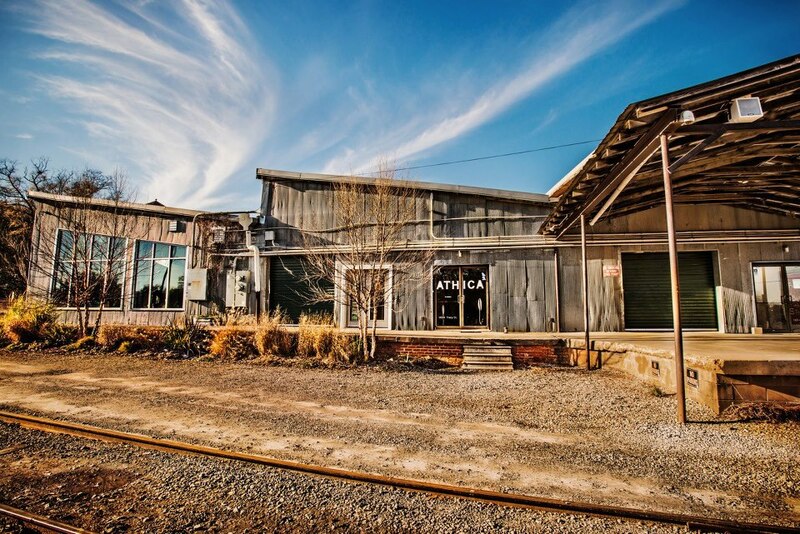 In 2015, ATHICA received the Favorite Place to See Local Art award from Flagpole Magazine’s annual poll for the fifth consecutive year and was awarded the Merit Award for Excellence in Public Art by the Athens Cultural Affairs Commission. In 2017, ATHICA found a new strategic partner with and generous support from The James E. and Betty J. Huffer Foundation. We celebrate and remember Donald Keyes, founding member of FiveArt, Inc., the group who spearheaded the development of the original ATHICA space. We are grateful that he named ATHICA and Nuci’s Space as local beneficiaries.